The European Piano Teachers’ Association (EPTA) has announced the launch of a new piano teachers’ course as part of its 40th-anniversary celebrations in 2019. The course, headed by Murray McLachlan, Chair of EPTA and head of keyboard at Chethams School in Manchester, takes place over 6 separate CPD training days in 2019 and will cover aspects such as basic foundations of technique, posture, hand position and finger independence, first principles to first lessons, mindfulness and the psychology of piano technique, repertoire, teaching different age groups, child protection, running a successful piano studio (including management of parent/teacher/student relationships), teaching students with special needs, improvisation and composition, and encouraging artistry, individuality and creativity in piano playing. Based on the outline which I have seen, this new course offers candidates a course which is rigorous, intelligently organised, extensive and sequential. EPTA has recently forged a more formal collaboration with the ABRSM and this new course offers, in part, useful preparation for those who wish to take an ABRSM teaching diploma. The ABRSM affilitation will also almost certainly encourage take up of this new course, given the reputation of the ABRSM. However, my initial impression is that this course will offer anyone keen to extend their teaching skills a solid grounding, and not just in piano-specific instrumental teaching. In addition, EPTA is launching its own bespoke diplomas: Cert.EPTA, Dip.EPTA and LEPTA. While these will roughly align with the ABRSM’s equivalent teaching diplomas and the Certificate of Music Education (CME), candidates will have the opportunity to explore a more individual route to becoming a robust teacher at each of these three levels. There will also be an element of personal choice to be focused upon within the exam, and this should encourage candidates to have an element of freedom from which to reveal an even deeper awareness and familiarity. Topics from which candidates will be free to choose are likely to include memorising, Alexander Technique, app-based teaching, improvisation, mindfulness, the subtleties of pedalling, how to teach analysis, style and interpretation, choosing repertoire appropriately, how to build a foundation of technique, how how to avoid tension and to listen attentively, how to prepare pupils for an exam, how to encourage pupils to practise and how to sustain inspiration over the longer term. Candidates will be encouraged to explore the repertoire and syllabuses of the three major exam boards – ABRSM, TCL and LCM – to demonstrate the skills needed to teach at each level and to reflect the fact that members of EPTA use all three exam boards (and others) in the course of their teaching. First entries for these new diplomas is likely to be Summer or Autumn 2019. Of course having letters after your name does not necessarily confer the status of “teacher” and experience is also crucial, together with a willingness to engage in CPD, formally or informally, to improve one’s skills. In the past, I have been troubled by both the lack of regulation in the profession and the number of teachers I have encountered who seem to lack the basic business/entrepreneurial skills in order to run a teaching practice properly and professionally. 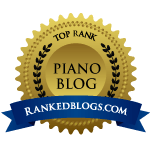 This has contributed to an image problem in piano teaching, that it is the realm of the hobbyist or the little old lady with cats and a cardigan. (In fact, most of the teachers whom I regard as trusted colleagues do not conform to this image at all, but it is an image which prevails amongst those outside the profession – read more here). I like to hope that EPTA’s new course and its affilitation with the ABRSM will encourage a change of view of piano teaching in the UK and will also help to produce flexible, open-minded and above all well-qualified teachers who are “fit for purpose” in the 21st-century. Next postWhat happened to improvisation in classical piano music?